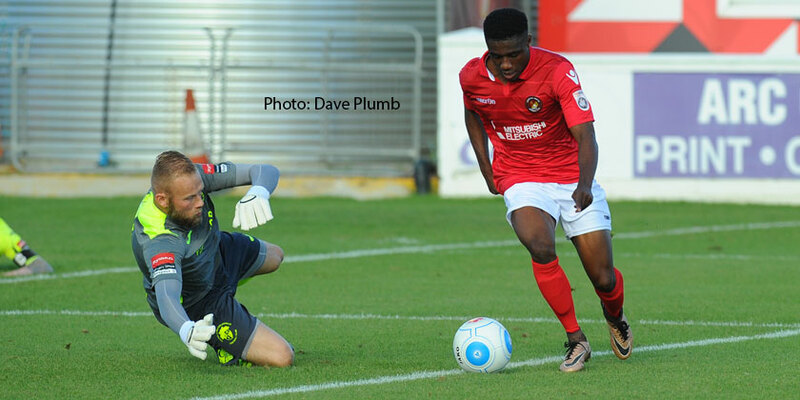 The goals – and the goalscorers – continue to pour in for home fans as Fleet hit seven with six different goalscorers and equalled the club’s best ever FA Cup win from 21 years ago. Without injured trio Sean Shields, Kenny Clark and Dean Rance, there was an opportunity for Jack Connors, while Dave Winfield returned from suspension in place of Reiss Greenidge. Havant & Waterlooville, undefeated since the opening day of the season, were in excellent form and the early exchanges suggested two sides attempting to probe for each other’s weaknesses. As such, it was a somewhat muted opening period with Fleet on the front foot but failing to excite in terms of goalscoring opportunities. Indeed it was the visitors who created the first chance of note on 18 minutes when former Dartford winger Ben Swallow found space down the right to cross for Jason Prior whose header at the far post was on target and needed a fast-reaction save from Nathan Ashmore to prevent the goal. But from the resulting corner, Fleet broke at speed and Darren McQueen found Anthony Cook who raced away down the Fleet left. Too swift for the defenders to catch, Cook homed in on Ryan Young’s goal and slung a great shot past the goalkeeper for 1-0. Sam Deering and McQueen were linking up well together and the former’s short pass into McQueen saw the striker turn his defender on the edge of the box but despatch his shot too high. The pair combined again moments later and McQueen tried to play the ball around Young but the goalkeeper just got a touch to divert it away from goal. Havant weren’t without chances, however, and on 34 minutes George Barker whipped a very good shot just over the upright to keep Ashmore aware of the danger. The same player got round the Fleet defence shortly after that to send a low cross along the floor that was knocked back into the six-yard box, forcing Mark Phillips to head it over his own crossbar. 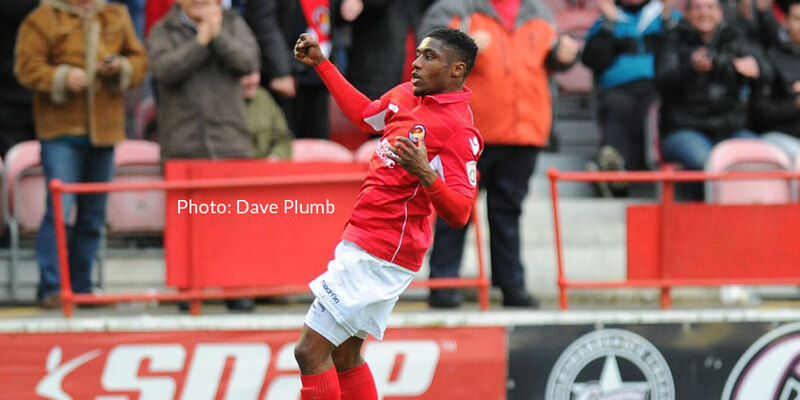 But having missed two chances, McQueen wasn’t to miss a third and on 37 minutes he made it 2-0. With Ryan Woodford attempting to clear his lines, McQueen’s persistence in winning the ball left the Havant defender floored and the Fleet striker carried on his run from the byline into a central position to compose himself for the shot past Young. Two turned into three two minutes before half-time in odd circumstances as a tussle in the box saw Winfield go to ground in the box and Stuart Lewis follow up with a challenge on a defender. But the referee pointed to the spot and sent off Lee Molyneaux – at the time it seemed a strange decision but some home fans claimed Winfield was kicked in the head as he lay on the floor. Danny Kedwell promptly forgot his and the Fleet’s penalty woes by burying the spot-kick past Young. 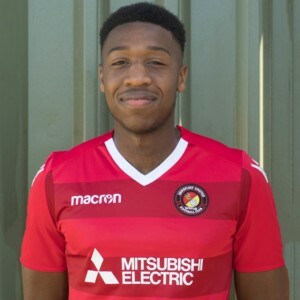 The two players almost came to blows – along with Theo Lewis and Rory Williams, when Williams slid in on Cook and the half-time whistle was needed to calm tempers. With a mountain to climb in the second half, it was little surprise that the 10 men of Havant failed to scale it. It was 4-0 eight minutes into the second period when a routine Jack Powell corner fell to Phillips who seemed almost as surprised as the Havant defenders to find himself in the clear and he stopped low to head it past Young. 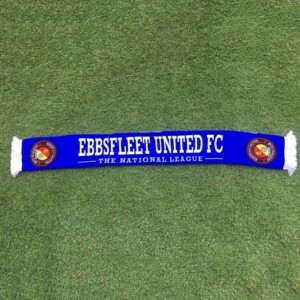 Fleet refused to rest on their laurels and kept Havant defending for their lives. A Lewis shot rocketed towards goal before a great block sent that behind for a corner and then Deering hit the post with another effort. Substitute Charlie Sheringham planted a shot just wide and Cook’s run into the box deserved more but he squared it into space behind the attacking Fleet front men. A fifth goal arrived on 68 minutes though and it was assisted by Powell whose run from the left picked out McQueen in the box. The No.10 all but teed himself up for the shot as he took one touch, looked up and buried his shot past the hapless Young. The final 20 minutes were largely incident-free – until the late rally – as both teams seemed to be going through the motions. Connors had a promising run that deserved a goal but his shot was blocked and cleared out of the six-yard box while Havant failed to mount much of an assault on Ashmore’s goal. 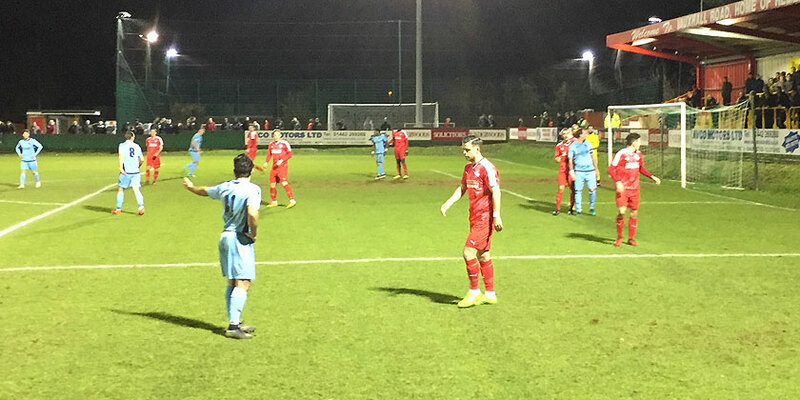 With the minutes ticking away, Fleet added some sheen to the scoreline. Substitute Bubb received a pass from Powell out on the right and with half-blast and half-craft, he angled an excellent effort against his former club for 6-0. In time added on, Bubb then turned provider for Powell, a short pass inside the box being finished off by the midfielder for a remarkable 7-0. 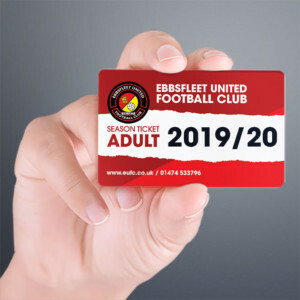 The Fourth Qualifying Round draw is live on talkSPORT on Monday and on this form, there won’t be many teams fancying been picked out alongside Ebbsfleet United. EUFC: Ashmore, Cook, Connors, Phillips, Winfield, McCoy, Lewis (Kissock 63), Deering, Kedwell (Sheringham 57), McQueen (Bubb 71), Powell. Subs not used: Miles, Greenidge, Boulding, Miller-Neave.